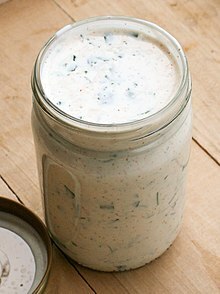 The all-American dressing, great for salads, sandwiches or as a dip with crudités. Tangy but not too sweet. This page was last edited on 13 March 2015, at 16:38.